Planet Akka: Caption this pic! Judging from the time spent around the grasslands these last couple of days, I think it might be mating season again. 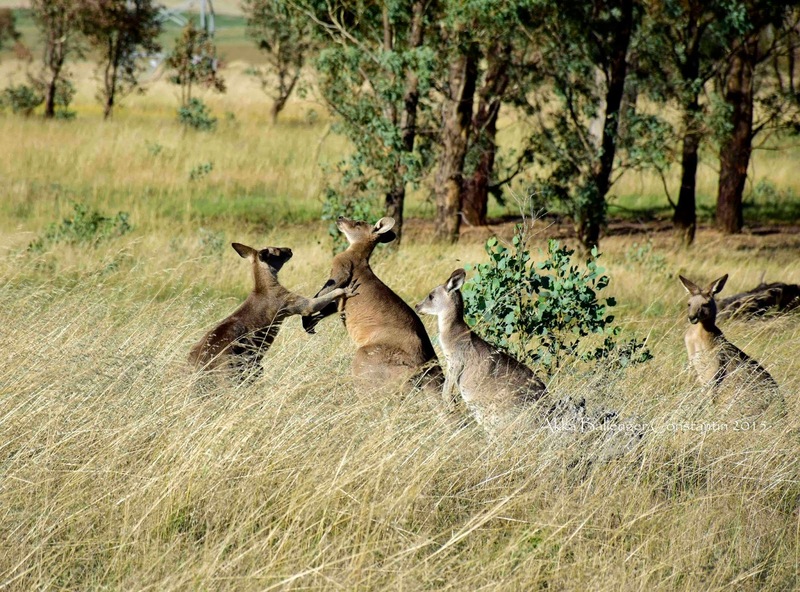 Some of the roos were sniffing a few others like crazy, which makes me think I might be right in assuming that. However, I find that I am not very imaginative when it comes to finding funny captions for my photos. Caption this photo, please. The best I could come up was: "Hands off my Lady!"